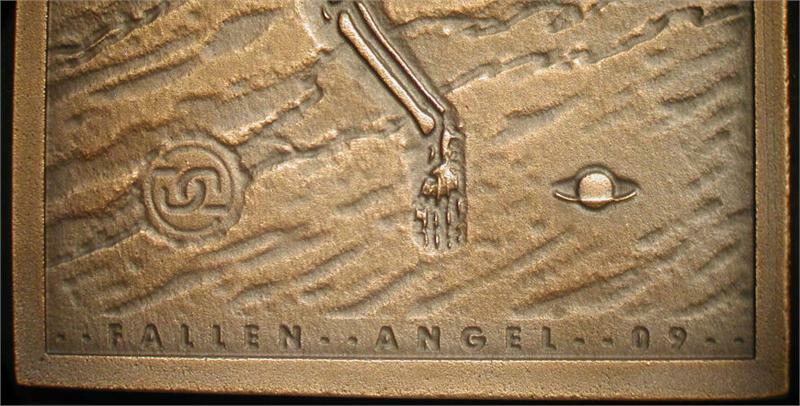 "Fallen Angel 09" cast bronze art medal by Daniel Carr. Credit card size - 2" x 3-1/4" inches (52mm x 83mm x 2.5mm thick). 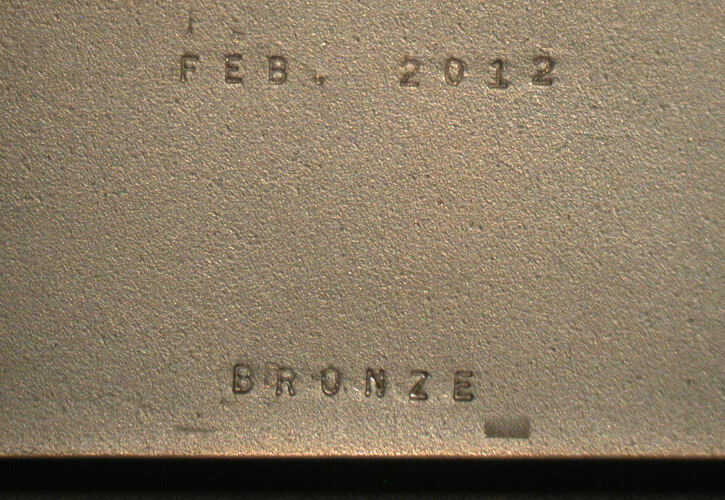 Blank back side with "BRONZE" stamp and "FEB. 2012" or "AUG 2012" date stamp. Total edition of 50 pieces. Note that the medal pictures may make the edges appear curved. But the medal is, in actuality, perfectly rectangular with straight edges. "Man's notion of good and evil is of little interest to nature. 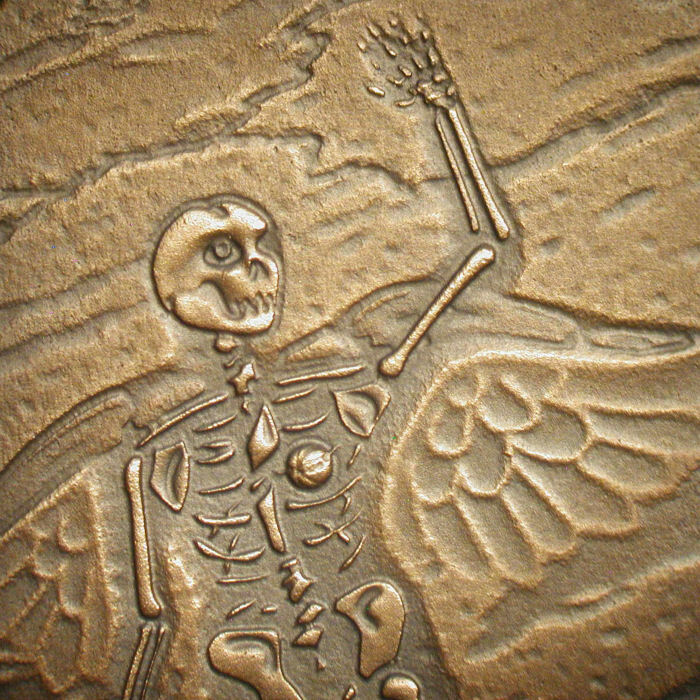 Neither good nor evil can escape the ravages of time, as in this example where a winged humanoid "angel" has been fossilized. 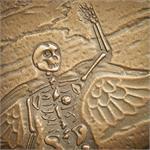 The angel may have been good or it may have been bad - once reduced to a skeleton there is no way to know. Beauty (good or evil) is only skin deep. And man's beliefs can be as antiquated as a fossil." Great chance to get a very limited edition piece without the very high price! Would look great displayed on a small stand/easiel. With only 50 being made...you can bet that none of your friends will ever have anything like this!!! saw it, bought it, liked it. I love the macabre so I really like this piece. Would love to know the story behind the design. Very nicely casted as well. Now I just need to figure out how to display it. Thanks Dcarr!